Rounded Wand (2-1/2" - 3-1/4") - 1pc. Rhodonite Rounded Massage Wand (Madagascar) - These cut and polished Rhodonite Rounded Massage Wands come from Madagascar. They have been cut and polished into a rounded teardrop shape that is wonderful to hold in your hand and are about 3-1/4" long and 1-3/8" across at its widest point tapering down to about 3/8" at the end. This Rhodonite from Madagascar is a nice deep pink color with varying degrees of black streaks. Like Rhodochrosite, Rhodonite is often used for rediscovering one's inner gifts, as well as for bringing much-needed love into the world. 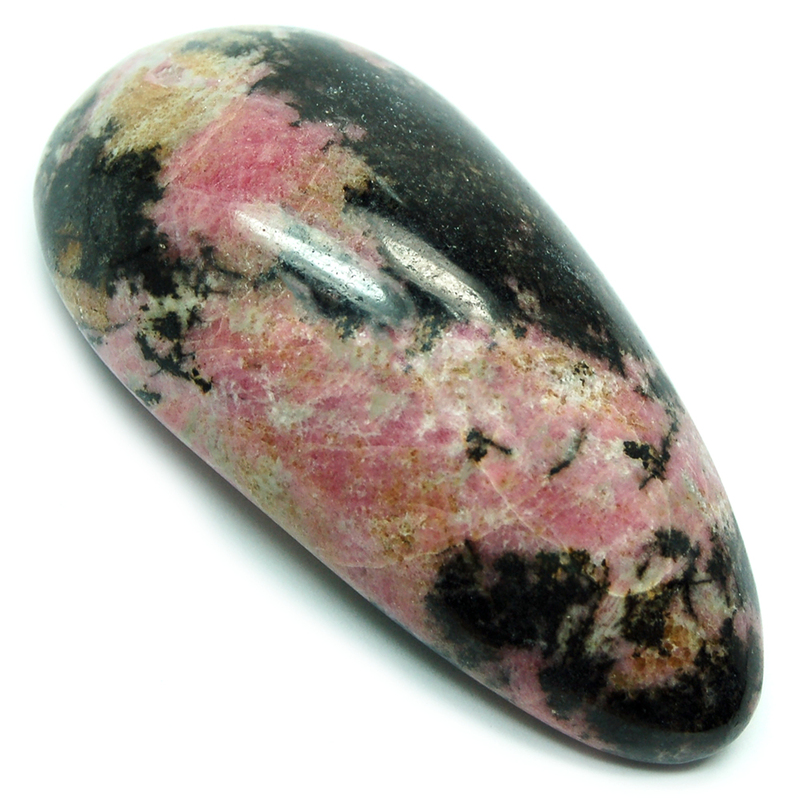 Rhodonite can also help one to remember their soul-purpose of incarnation, and facilitate living from the heart. 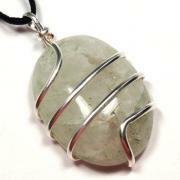 This lovely stone also helps one to remember that the best rewards come from serving the highest good. 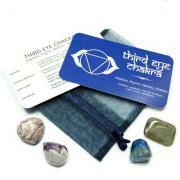 Rhodonite helps provide support to the Higher Heart Chakra, which in turn will promote the service of the Spirit. 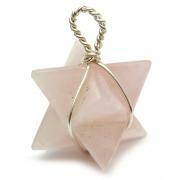 Physically, Rhodonite is believed to support detoxification and healing of the organs, especially the liver. Some use this crystal as a stone of power, bringing strength and vitality to the body and spirit so they can support higher vibrations needed for personal evolution. 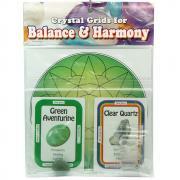 Rhodonite can also be used to stimulate the metabolism. Affirmation: I use my gifts to fulfill my soul's purpose. Question: What helps you feel fulfilled?